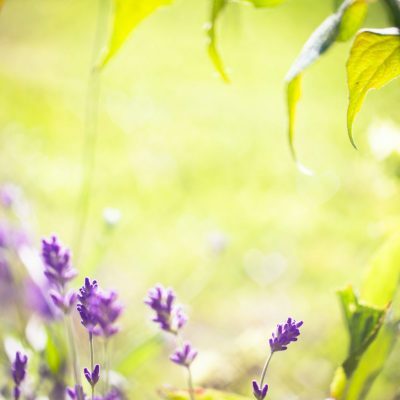 SPA-package for 2 nights with with breakfast and dinner and a 2 spa-treatments from choice. An exclusive 7-day figure correction and slimming package includes 12 trimming and corrective body treatments, 6 group trainings and healthy full-board dining. The therapeutic package with min 4 nights accommodation, breakfast, lunch and dinner and 3 treatments per day. The romantic spa package for two with a luxurious bath care and dual massage and three-course candlelight dinner. The seminar package with accommodation, food and, after the seminar, relaxation in the Water and Sauna Centre. 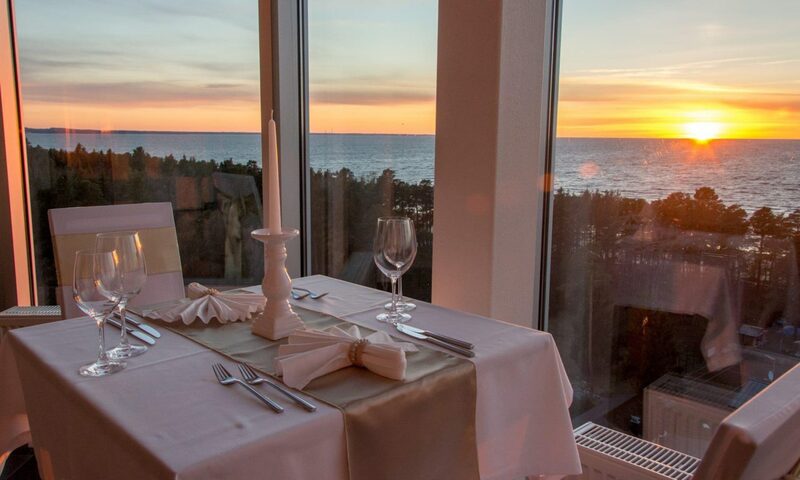 Dinner for two with magnificent sea view. Design your own spa package! Your own tailor made package will quarantee perfect spa experience and holiday your friends envy. Children’s Health package with accommodation of minimum 2 nights, breakfast and dinner and 2 treatments per day. 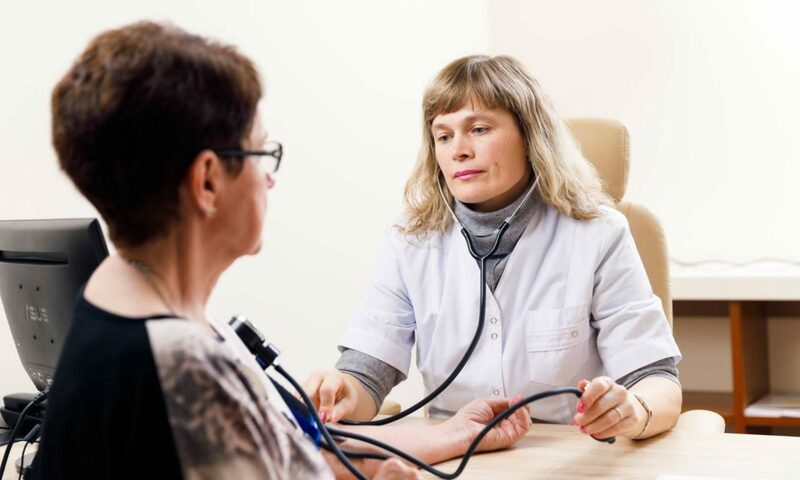 Health package with accommodation of minimum 2 nights, breakfast and dinner and 2 treatments per day. 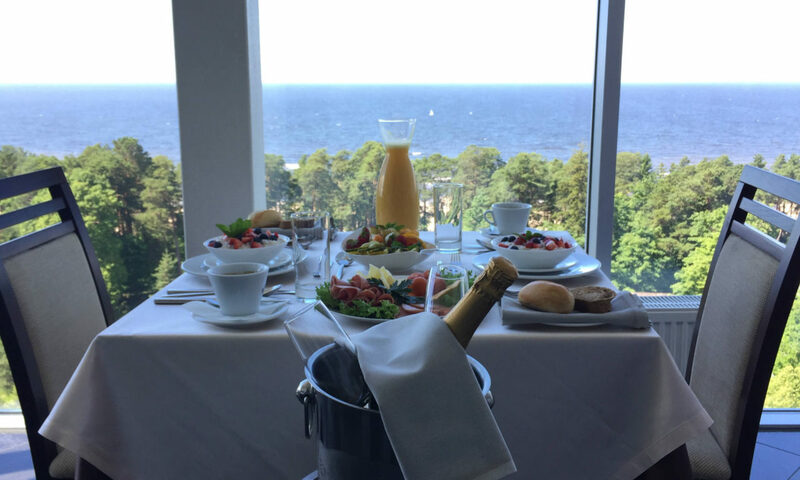 A hearty breakfast to you on the 11th floor of the hotel where, in addition to a tasty meal, you can enjoy a beautiful view of the sea. Price from 30€ for two. Wellness package with min 2 nights accommodation, breakfast and dinner and 1 spa treatment per day. 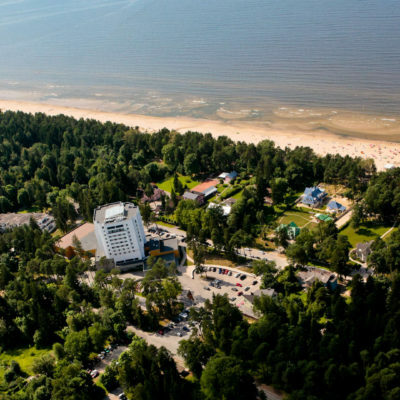 Meresuu SPA & Hotel, opened in 2008, is situated in a historical resort Narva-Jõesuu, in the near vicinity of the longest Estonian sand beach, surrounded by a beautiful pine forest. Meresuu SPA & Hotel is situated at the distance of 210 km from Tallinn, 15 km from Narva that lies on the border of Estonia-Russia, and 170 km from St. Petersburg. From October 2016, the operator of Meresuu SPA & Hotel is SPA Tours OÜ who also operates the Viimsi SPA Hotel and free time complex in Tallinn and the Grand Rose SPA Hotel in Saaremaa. Meresuu SPA & Hotel has got comfortable rooms; tasty and varied meals are offered by restaurant Meloodia. 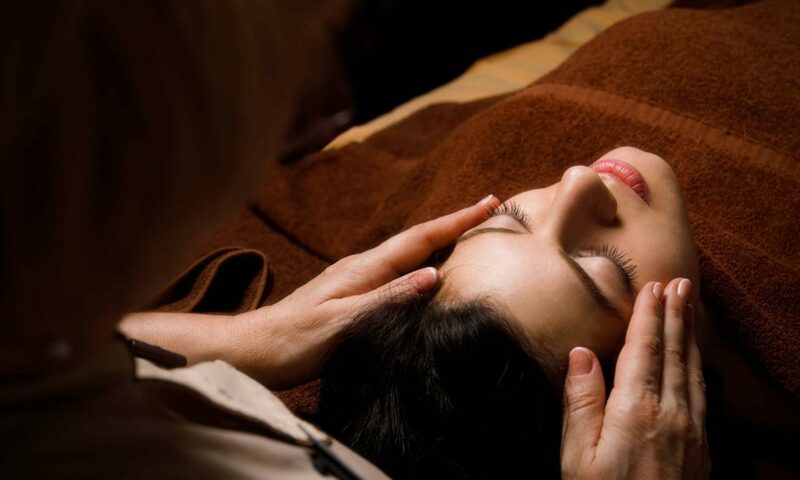 The World of Beauty and Health with its treatments and rituals satisfies the requirements of the most demanding guest. At Meresuu SPA Sauna Centre that has been refurbished at the beginning of 2017, you can enjoy yourself totally. Besides five refurbished saunas, there are two new wood-heated saunas with exclusive design on the out-door terrace. At the disposal of our guests, there is also Sports Club with a gym and a sports hall for group trainings, children’s playroom and lounge bar situated on the the ground floor which can be used late hours as well. The unique beach of Narva-Jõesuu with white sand and beautiful nature offer perfect opportunities for spending time all the year round. The sea waves churning behind the window help to be carried away from everyday worries and give wings to dreams. Meresuu SPA Hotel wants to offer maximum relaxation and always friendly servicing. Children up to 2 years stay without extra bed WITHOUT CHARGE (when required, a baby cot). Extra bed for a child of 3-15 years 20 € / 24 hours. Extra bed for a child from 16 years or adult 30 € / 24 hours.